Film. By Deb Ellis and Denis Mueller. 2010. 78 minutes. Documentary on life and work of Howard Zinn. This is a documentary on the life of Howard Zinn — noted author, historian and social activist. Zinn authored numerous books on U.S. history including the classic A People’s History of the United States. The film weaves archival footage with interviews with Alice Walker, Daniel Berrigan, Noam Chomsky, and others. The film provides great background information for teachers on the life and activism of Howard Zinn in the civil rights, anti-war, and free speech movements. Clips could be used in the classroom to introduce specific historic events. Narrated by Matt Damon with music by Pearl Jam, Woody Guthrie & Billy Bragg. Closed captioned. Produced by First Run Features. In the scene below from the film, Howard Zinn discusses how Woody Guthrie’s song “The Ludlow Massacre” led him to investigate this event for himself. Below is a clip from the film on Howard Zinn’s views on non-violence and civil disobedience. Book – Non-fiction. By Howard Zinn. 2002, updated in 2018 with a foreword by Keeanga-Yamahtta Taylor. 232 pages. 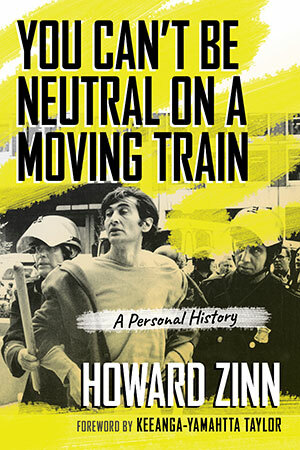 An engaging memoir by Howard Zinn which offers his life history in the context of the politics and events of his lifetime.